...and asked me to put up another reminder about the EHAG Emporium. If you haven't been to the Emporium yet well there is no excuse. You know who you are. Black Cat said that those slackers (his words not mine) didn't pay any attention to his list so he is getting me to type it out again. 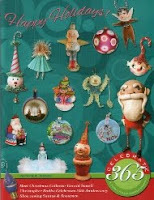 I said I will just copy it from the other blog about the EHAG Emporium, it is so much easier. Black Cat said that would be alright as long as I get those few people (he wanted me to type SLACKERS in capitals but I said no you mustn't talk to people like that.) to read his list, follow it, and not just think that they will do it later but do it right now. Black Cat is a very loyal friend of the Man in the Moon and backs him up whenever he can. He is also fond of singing for the Man in the Moon who has mentioned that B.C. 's voice is quite remarkable. 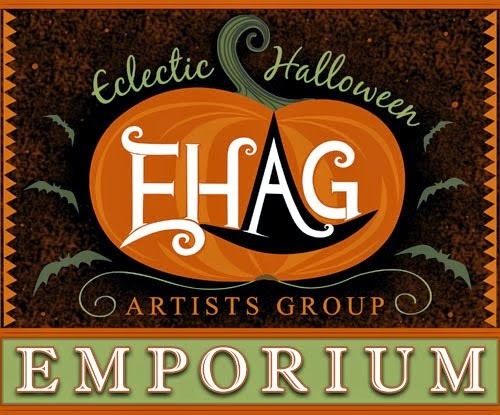 1 - Go to the EHAG Emporium Blog! 2 - Bookmark the website address! 3 - Become a loyal follower of the blog so that you don't miss out on any of the latest news and works for sale! 4 - Have lots of fun! Black Cat would very much appreciate you to visit our new blog site where the sales will occur. Mark you calendar to join us on January 31st, and all months that end in 31 except for New Year's Eve. Here is a sneak peek for you to ponder. Remember the 31st of January.